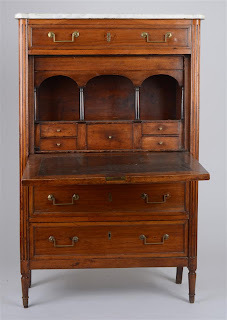 Auction Decorating: Small Space Solution: Get a secretary! In a small home, the best furniture serves multiple purposes. Also, you need not give up style! 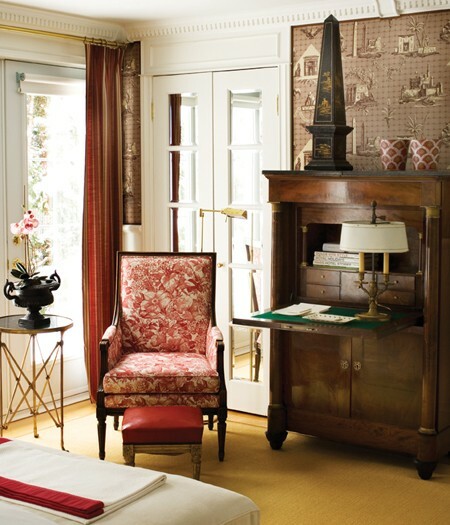 In fact, in a small space, buying a few pieces of furniture with maximum style impact will make the room. A 'secretaire a abbatant', or secretary, is the perfect fit. Think of all the things it can do - it's a dresser, it's a display shelf, and it's a desk. This one sold at a recent Stair Galleries auction in Hudson, NY for $1,250 off an auction estimate of $600 - $800. It's a Louis XVI mahogany secretary with a marble top. I love the curves in the interior shelves. Use your imagination as to what you put on display. Don't forget the top where you might add some beautiful Chinese vases. 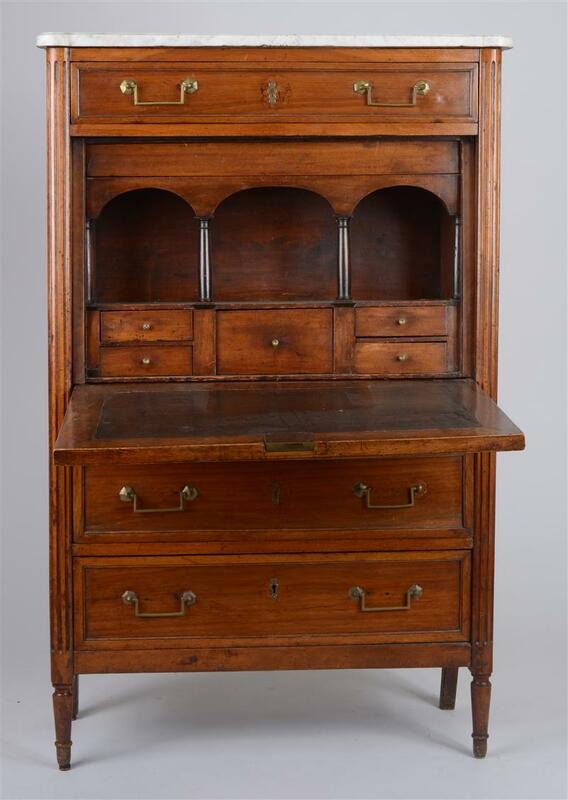 This beautiful Biedermeier secretaire would work wonderfully in a small space. The birch wood would keep it light and avoid too much dark furniture. It is very smart looking. 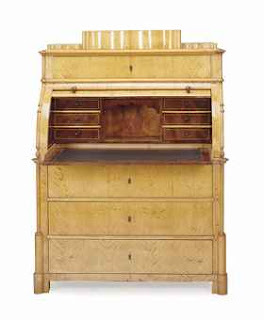 This is included in the next Christie's Interiors sale in New York February 28th and 29th. This is Lot 878, and is described as second half of the 19th century. It has an auction estimate of $2,000 - $3,000. 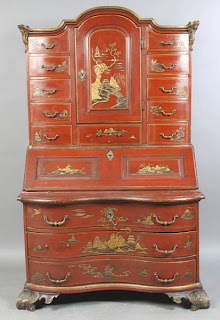 For a more decorative look I love this Chinoiserie secretary. It has lots of storage, and looks so very chic. The red adds a pop of color to the room too! This is Lot 317 in a Kamelot Auction in Philadelphia February 18th. It is described as 18th century and has an auction estimate of $2,500 - $3,500. A secretaire can be three pieces of furniture in one. When shopping for one at auction and setting your top bid, add up individual pieces in your head and you may find that you have a bargain! It's so much more chic in any event.